What is a SNIJIB recognised apprenticeship? A SNIJIB Apprenticeship is the only recognisable route to become a fully graded operative with the Plumbing and Heating Industry. 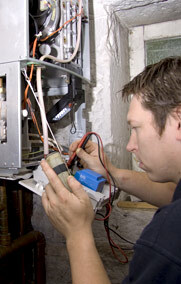 The Modern Apprenticeship in Domestic Plumbing and Heating takes 4 years to complete. The apprenticeship consists of gaining mainly ‘on the job’ experience and 33 weeks ‘off the job’ studying at college, completing the SVQ Level 3 MES Domestic Plumbing and Heating (normally day or block release at college). 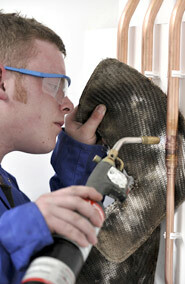 Want to become a SNIJIB recognised apprentice plumber? 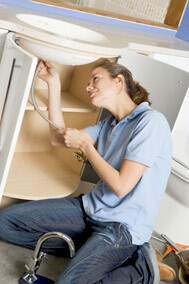 The SNIJIB welcomes both men and women from all ages in the Plumbing Industry. If you wish to undertake a Modern Apprenticeship in Domestic Plumbing and Heating you must first find an employer. Individuals are expected to have a minimum of four National 4 Qualifications/ Standard Grades at general level and will be required to pass the Plumbing Industry's Apprentice Entrance Selection Test (invigilated by a recruiting employer). All SNIJIB recognised apprentice plumbers must be registered with the SNIJIB by completing the SNIJIB Training and Registration Agreement. Employers can email here to request a copy. SNIPEF Training Services Ltd acts as the Managing Agent & Training Provider for the Modern Apprenticeship in Domestic Plumbing and Heating in Scotland and obtains funding from the Government (Skills Development Scotland). Whilst there is no restriction for entry to the Modern Apprenticeship in Domestic Plumbing, the Government does have age-related funding bands. 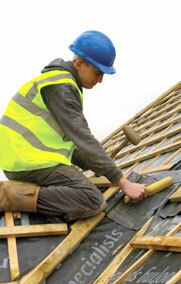 Employers can enquire about funding for an apprentice with SNIPEF Training Services Ltd here. You can contact a local Regional Training Officer from SNIPEF Training Services Ltd here to enquire whether they are aware of any individuals who are looking to start an apprenticeship or who are looking for an employer in order to complete their apprenticeship (having been made redundant). SNIPEF Training Services Ltd will be able to advise if you are eligible to apply for additional funding in the form of an adoption grant for recruiting a redundant apprentice. If you have the capacity to employ an individual who needs to complete their apprenticeship, Regional Training Officers may have valuable 1st, 2nd, 3rd and 4th year apprentices located near you who are worthy of consideration for employment. Many 4th year apprentices have completed their college training including ACS Gas and can bring this and their work experience to your business. The SNIJIB wishes to advise that individuals seeking an apprenticeship or to work in the plumbing industry should be aware that the nature of work in the plumbing industry involves working with coloured wires, pipes and other materials. Any individual who has colour vision deficiency should be aware that (depending on the nature of that deficiency) this may impact on their ability to safely carry out work in the industry. It is a matter for individual employers to carry out a risk assessment to establish whether such colour deficiency represents a significant risk and to identify what action, if any, can be taken to either reduce or eliminate that risk.